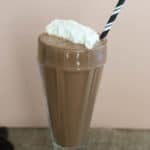 Keto Meal Replacement | Chocolate Peanut Butter Shake! We often get the question "What is the best Keto Meal Replacement?" and until now we couldn't really pinpoint one we could fully stand behind. With convenient and quick meals being such a big part of most peoples day to day we knew we had to change this. We didn't want to recommend something we didn't love ourselves so we came up with something, after several test batches, that you can now make at home yourself! There are several different components to the meal replacement mix, however, the most controversial is likely protein powder. So many are high in carb, use ingredients that we don't love consuming on a regular basis and just taste plain old awful. So, begs the question, what are the best options. Well, we usually opt for Isopure due to it's low carb content and great taste, but another great tasting option, sacrificing on ingredients a little is Quest. That being said, for this recipe we use Muscle Feast, which is sweetened with stevia and we feel good about using everyday! Looking For Cheap Keto Meals? At first buying all the ingredients for the replacement may seem like a pretty big investment, however, compared to buying other pre-made keto meal replacements you are saving a lot in the long run. Most only have 13, 30 or at most 60 servings, but having all the powders on hand allows you to make more than 60 total servings! If you do have a quick 15-20 minutes to make a meal at home, some other easy, cheap keto meals are our egg roll in a bowl, low carb waffles and cauliflower fried rice! 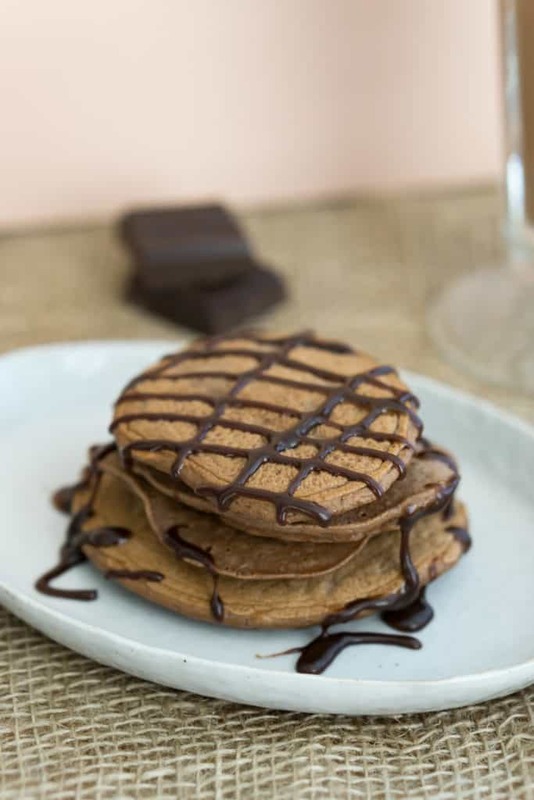 Our favorite part about this meal replacement shake is that you can use it to make peanut butter, chocolate pancakes for a quick, macro friendly meal! If you're someone who has been looking for n on-the-go low carb, keto meal replacement that isn't pure protein or bad tasting, you've found it! We created this with everyone in mind since we know we all have those hectic days or weeks where we don't have time to cook or we're on the road! We also knew that chocolate peanut butter is a flavor loved by most, if not all, so you can enjoy your on the go keto meal replacement and feel go​od about knowing the exact ingredients that go into it! Note: If you don't have chocolate MCT oil powder at home, you can just use regular MCT oil powder and add some cocoa powder! 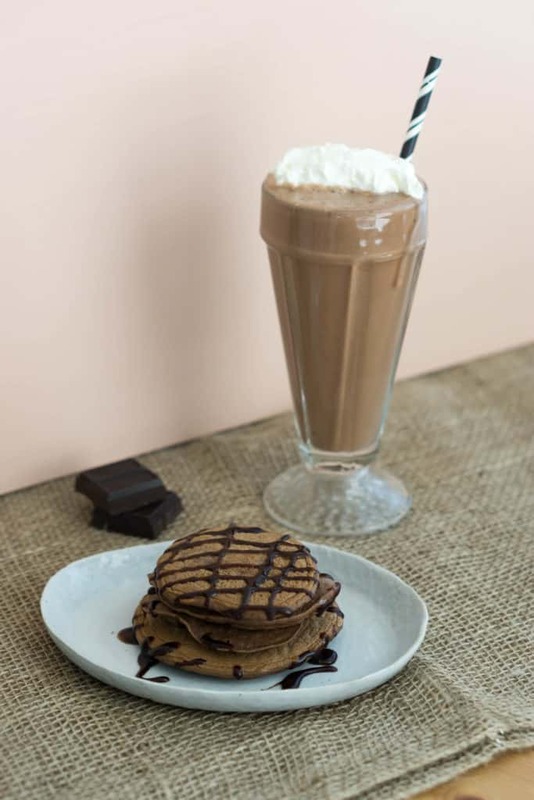 Recipe can be quickly added to MyFitnessPal - Search "KetoConnect - Keto Meal Replacement Shake"
Keto Meal Replacement | Chocolate Peanut Butter! Pre-made mix: combine all the powder mix ingredients into a bowl or mason jar for storing and combine using a whisk. Makes one 1 cup serving. For shake: add water and heavy cream and shake well. For pancakes: combine 2 eggs with 1/2 cup powder mix to make 4 small pancakes.